It’s not easy being a pastor, priest, or rabbi. People come to congregations bearing an incredible variety of hopes and aspirations. When reality falls short—as it inevitably does—the clergy leader often takes the fall. That process is almost always painful, even when it turns out to be a good thing for all concerned. A lot of clergy fail, but others manage to avoid the pitfalls and succeed despite the odds. A key to success is to remember that the congregation’s mission, not its minister, is the central issue. Everybody has opinions about the person in the pulpit. Whether those opinions are unseasonably good or unreasonably bad, each comment throws the preacher just a little bit off balance. Unlike successful politicians, clergy tend to be self-critical rather than thick-skinned. As a result, we walk around with bruises on our egos. We all have ways of making it up to ourselves. Ice cream works for some. One of the healthiest ministers I know leads a double life: By day he is a preacher; one night a week he is a pool champ at a bar that swarms with non-churchgoing barflies. He likes beer—but not too much—so he can revel safely in his clear-cut victories at the table. When he returns to those other, dicier tables in the boardroom and the chancel, his pool victories sustain him. Unfortunately, most of us resort too often to self-praise, which is a peculiarly self-harming way of building ourselves up. There is no more efficient way to alienate the hardest workers in the congregation than to take credit for their efforts. When the chips are down, you’ll need those workers. So remember: Praise them first, and last, and often! Even worse than failing to appreciate your workers is to criticize them to each other. Having said that, I realize that for some of readers I may need to back up a step and say: You can, too, criticize a volunteer. 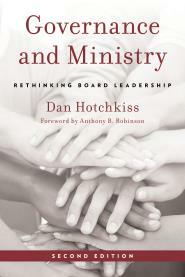 The widespread notion that You Can’t Fire Volunteers—or direct their work or give frank feedback about volunteer performance—should be declared a modern heresy. Nothing is more critical to the good functioning of congregations than high-performing volunteers. You can and must give volunteers frank feedback, but you have to do it face to face. If you grumble to those you like and trust about the faults of those who frustrate you, you weave a web that will eventually catch you. So make it a rule: Never voice a criticism indirectly that you have not already given face-to-face. And even then, consider whether the person you are speaking to has a need to hear this criticism from you now. In general: Criticize in private, praise in public. When I was training for the ministry in the late 1970s, our culture was still suffering from the Gospel of Sincerity. Confessional preaching was quite popular, in which the preacher cried on the congregation’s shoulder, or (worse) invited them to revel in the preacher’s spiritual triumphs. By sharing our own genuine emotions, we imagined we’d “connect” more fully—or at least better than the GI-generation men who went before us. Here’s the rub: Not all your feelings are appropriate or helpful to express while you are feeling them. The people in your care do need to know you’ve felt the full spectrum of emotions. But when they ask, “How are you?” they are not looking for an honest answer. Clergy need to offer, not a real-time readout of our moment-to-moment “sincere” feelings, but a curated version. Like actors who bring authentic feeling to each role, we can offer a selection of our real emotions, chosen to be helpful and appropriate to each situation and each set of persons in our care. Otherwise we’re asking to be cared for, rather than to care. Conflicts leading to the forced departure almost always take the following form: The congregation has a long-simmering conflict over some important issue. At root the issue may relate to worship style, theology, or changes in the social, economic, or generational makeup of the congregation. The conflict often predates the arrival of any current leaders. All congregations have such conflicts. Healthy ones address them openly and slowly, recognizing that major change requires support from a wide group of stakeholders—typically around 60 to 80 people, if you have that many. Permission for experiments is given and results evaluated over time. Leaders’ primary responsibility is to ensure that the group addresses its important issues resolutely, at a pace it can accept. Less healthy congregations cast their leaders as combatants. Like spectators at a Punch and Judy show, they watch the Old Male Pastor duke it out with the Young Female Intern over worship style. Or it sterotypes its New Young Pastor as the champion for “contemporary worship” versus its Long-Tenured Classical Musician. 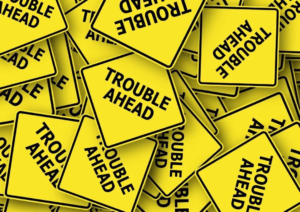 When consultants or denominational officials visit after a failed ministry, they often spot this pattern: Two leaders have been cast as adversaries over issues the congregation has long failed to address directly. Even when the leaders’ own performance is genuinely part of the problem (as it almost always is), it’s worth asking: Who chose these leaders? And why? If you disagree about an important issue with another leader, it is tempting to become the champion of the faction you agree with. Instead, consider whether you could re-conceive the issue not as a conflict between leaders, but as a conversation among congregants. When you praise yourself, you are responding defensively to criticism. When you criticize others indirectly, you are deflecting criticism. When you express all of your emotions, you will express defensive feelings that are natural but usually not helpful. When you allow yourself to be triangulated with another leader, you tacitly accept your critics’ premise: that this is really mostly about you. So next time you feel criticized (or praised, for that matter) set your cellphone to remind you to find ways and places to take care of yourself—other than at work. Ministry is hard! You deserve a lot of credit. You do not deserve all of the blame you get. Your critics (even when they happen to be right) are usually talking about something larger by far than you and your faults. Complain to your colleagues. Cry with your therapist. Strategize with your coach. And then go back and let your congregation know that you’re trying to improve. And in particular, that you are trying to help them to address the deeper issues that their criticisms raise—most of which are not fundamentally about you, but about the congregation and its mission in the world.